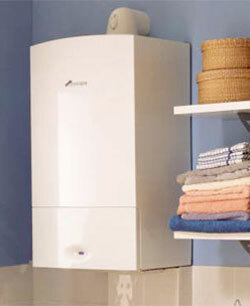 At SJH Plumbing & Heating we offer our customers the very latest technology in boilers and heating products. Our boiler engineers are CORGI / GasSafe registered and highly qualified to give you the best service and the best products to suit your personal requirements and budget. According to the Energy Saving Trust an average British household emits 6 tonnes of C02 and spend nearly £900.00 on power and fuel every year. By replacing an aging conventional boiler with a new condensing boiler could immediately make a 30% saving which can increase to 40% when combined with upgraded heating controls. An older model boiler may only convert 60% of gas usage into useful heat, while a Greenstar condensing boiler from SJH Plumbing & Heating can produce a 97% efficiency conversion. The Energy Saving Trust provide free and impartial information and advice and have a network of advice centres in the UK specifically designed to help people take action. Call 0800 512012 to find out more.